The weather is getting warmer, spring has sprung and you de-winterized all your favorite toys. Do you know what that means? It’s fishing time! Of course, some of you may be year-round anglers who participated in ice fishing season. But, now is the time you can enjoy fishing in even more places across the U.S. and without the hassle of freezing temperatures. For all our anglers, we’ve compiled a list of some of the best fishing spots across the country. There’s sure to be a destination that catches your eye. Grab your gear and get fishing! This location is perfect for saltwater anglers looking to catch halibut fish. The bay is anywhere from 10-35 feet deep and fishing is available year-round. However, the best time to go is in May and through the summer season. 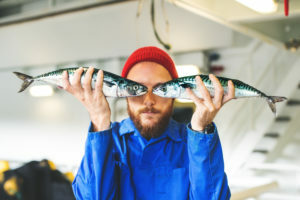 Other species you may catch here are salmon, rockfish and sturgeon. Here, you can find bluegill, rainbow and brown trout and smallmouth bass. There are 58 permanent streams, a multitude of lakes and clear rivers to explore. Fishing season begins at the end of April and continues through November. Just remember that special catch and release regulations apply for native rainbow trout in certain areas. Bait fishing is also prohibited throughout Yosemite National Park. Fishing on the Santa Monica Pier does not require a fishing license. The most common species are perch, mackerel, white sea bass, leopard shark and stingrays. Remember, the black sea bass is endangered so you must throw it back or donate it to the nearby Heal the Bay aquarium if you catch one. If you’re lucky, you might also hook a rare barracuda or yellowtail at the end of the pier in the deeper waters. This fishing spot is located about as south as you can get in California. 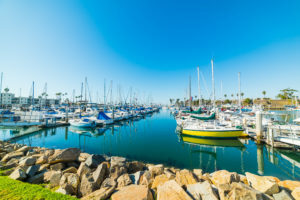 Point Loma and Silver Strand State Beach create a landlock around the bay, making it one of the world’s best natural deep-water harbors. Depending on where you go in this area, there is pier fishing, boat fishing and even surf fishing. Some of the most popular catches are the spotted bay bass, halibut, barred sand band, bay rays and shovelnose guitarfish. Fishing along the gulf in Galveston will allow you to try your hand at kingfish, snapper, dorado and more. This fishing spot is the largest estuary on the Texas coast as well as the seventh largest in the country. That makes it a great place for anglers year-round. Other popular species are speckled trout, redfish and flounder. This fishing spot is well-known for being Texas’ best lake for catching big bass. It’s a 27,690-acre reservoir that holds some of the most impressive records for largemouth bass in the state. Many lucky anglers have caught trophy-sized largemouth bass upwards of 13+ pounds! Located a couple hours east of Dallas, anglers flock to this location from all over the state and the country. A multitude of clearwater springs feeds into Devils River, turning it a stunning turquoise blue. It’s an ideal place to go kayak fishing where you will pass grassy banks, idyllic canyons and rugged ridges. Largemouth bass, smallmouth bass and catfish are typically found in this wild river. Destin is well-known for being one of the best angler destinations in the state. Located along the Gulf of Mexico, there are up to 100-feet-deep waters hiding snapper, king mackerel, bonito, grouper, triggerfish and many other species. If you go further offshore, you can even find large marlin and sailfish. Oh, and did we forget to mention that Destin is known as the “World’s Luckiest Fishing Village”? Sounds like a great time to us! 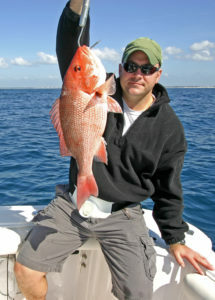 The Florida Keys also offers a wide range of tropical fishing opportunities. One of the best fishing spots is Islamorada which is known as the “Sport Fishing Capital of the World” and consists of six islands. You can catch tarpon, bonefish, sailfish and many more species here. In the heart of the Keys, there’s also Marathon. It’s one of the most historic and busiest fishing locations where you can find mahi-mahi, blue and white marlin, tarpon and more. The Florida Keys has endless fishing possibilities. Are you looking for some of the best inshore game fishing in Florida? Then this is an excellent destination for you! Along the sandy white beaches of the bay and waterways, there are redfish, flounder, sheepshead and speckled trout. You can also go spearfishing or fly fishing for tarpon. Take an offshore charter if you want to catch mackerel, grouper, snapper, wahoo, mahi-mahi and sailfish. 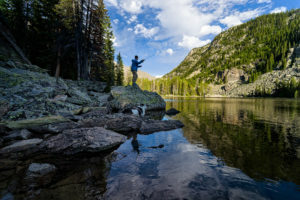 This fishing spot is home to hundreds of miles of picturesque waterways and includes easy access to Blue Mesa, Taylor Reservoir and the East and Taylor Rivers. At these prime fishing locations, you can catch record-breaking brown, rainbow and lake trout. Your most difficult decision? Choosing if you want to go stream, river or lake fishing first! Anglers are welcome at Lake City year-round, but fly fishers tend to have the most luck catching trout during the spring. When Lake San Cristobal thaws out in May, you can find up to 30-pound mackinaw or lake trout near the shore! As summer rolls around, Deer Lakes and Big Blue Creek become abundant with small trout, while Cebolla Creek and Henson Creek provide wild browns. Anglers can essentially find a prime lake to fish in during any time of the year here. 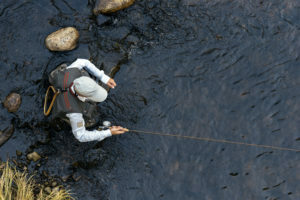 Located in Basalt, between Aspen and Glenwood Springs, you can find world-class fishing opportunities at the Frying Pan River. Anglers know this fishing spot for its world-famous rainbow trout, which are frequently caught weighing in at over 10 pounds. Fly fishing in the Gold Medal section of the river is the most popular. 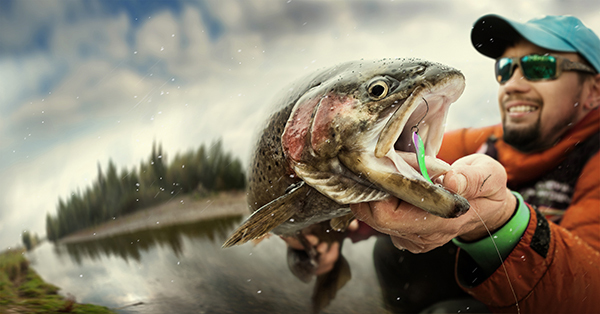 Before heading to any fishing spot, there are few other things you should remember. Fishing Laws & Regulations. Always make sure you’re following the fishing laws and regulations in any location you visit. These regulations vary from place to place and are different depending on what state you’re in. Also, always check to see if you need a fishing license or permit. Fishing Guide or Captain. Are you fishing somewhere you’ve never explored before? Then you may want to consider finding a local fishing guide or charter captain. They can help you find the best fishing spots to enhance your experience. Boat Insurance. If you’re taking your boat out onto the waters, you’ll need to de-winterize it first. You’ll also need to make sure you have the proper Boat Insurance. You can call an Insurance Specialist at (866) 501-7335 to learn more about your coverage options. RV Insurance. If you’re taking a fishing road trip in your RV this spring or summer, you’ll also need the proper insurance coverage. Check to make sure that you’re covered in each state you travel to before starting your journey. QRV Instagram. For more destination inspiration, follow us @qrvinsurance. The information in this article is obtained from various sources. This content is offered for educational purposes only and it does not represent contractual agreements. It should not replace manuals or instructions provided by the manufacturer or the advice of a qualified professional. The definitions, terms and coverage in a given policy may be different than those suggested here. Such policy will be governed by the language contained therein. ‹ Where Are The Best Campsites for Spring Break?